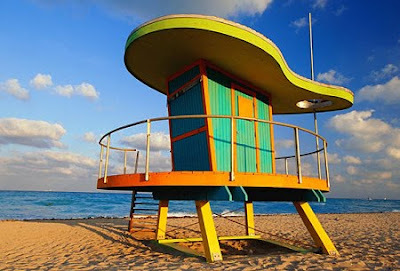 Lifeguard towers are structures which many holidaymakers have seen but very few have actually noticed. In fact, if you've ever been to a beach, there's a good chance a lifeguard tower will have popped up in your field of vision at some point during your visit only to slip from your mind almost instantly. Maybe it's because the majority look very similar to each other, or maybe we're used to ignoring them from the days when they starred in Baywatch alongside many - relatively - more attractive characters. In honour of their thankless creators, here's a selection of lifeguard tower designs.